In the winter of 2010 a group of Strafford County Democratic Grassroots Activists aged 17 to 70 gathered because they were dedicated to promoting a Pro-Democratic message for the November election. The bumper stickers are part of the messaging campaign that we are undertaking here in Strafford County, New Hampshire (where some of us call them bumpastickas) and we hope beyond! They were printed by a small woman-owned union print shop in Somersworth, NH. 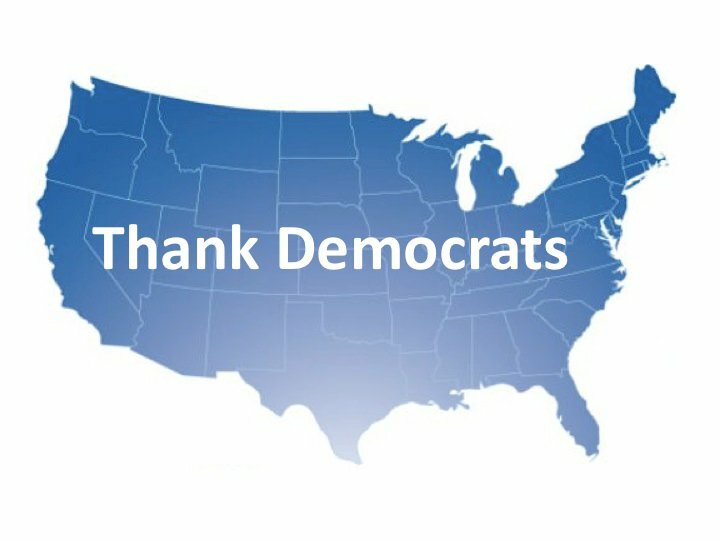 The Democrats of Strafford County, New Hampshire, want to thank you for all of the hard work that you do on behalf of the Democratic Party. We are doing our part. We designed the union-made bumper stickers to get the message out. Over the past year we have sold bumper stickers from Maine to Alaska and from Massachusetts to Utah. 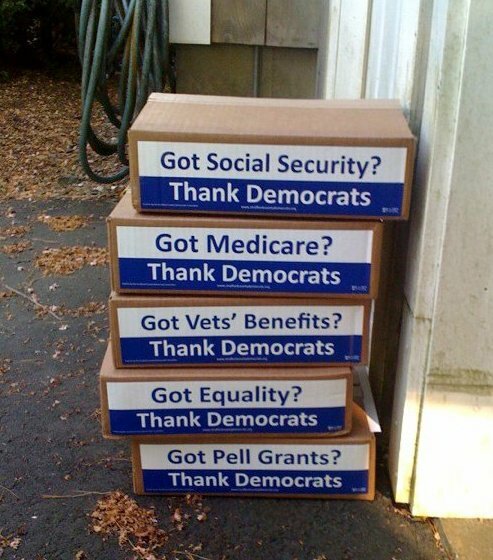 Our most popular stickers are Medicare, Social Security, and Vet’s Benefits. Many town and county committees have purchased our stickers in bulk and have used them to fundraise and doubled their money, charging still only $1. each, or they have handed them out freely. 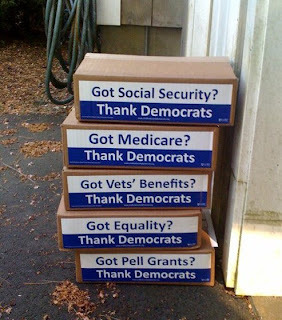 We ask that people pledge to display the sticker and to help us spread the word about the good things that Democrats have done for this country. We hope you will consider contributing to this worthwhile cause by buying our terrific bumper stickers. All proceeds raised from the sale of the bumper stickers go towards electing Democrats in Strafford County, NH. The county committee has produced a new bumper sticker in its “Thank Democrats” series. The new one, which reads simply “Obama ♥ Cares.” Buy them online here.